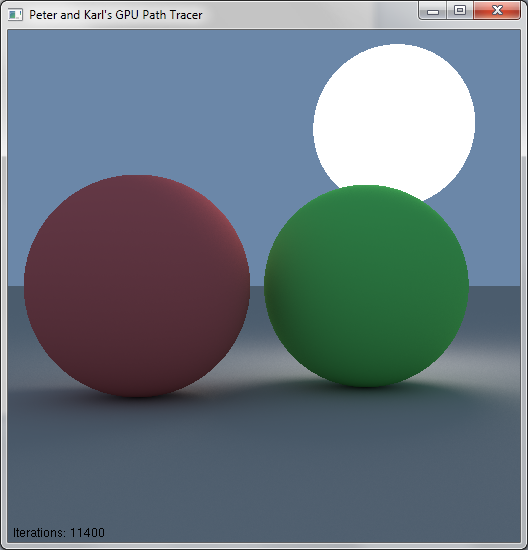 Here’s the first progress summary/blog digest for the GPU Pathtracer project! Over the past few days, Peter and I established our framework, got random number generation working on the GPU, built an accumulator, figured out parallelized camera ray projection, got spherical intersection tests working, and got a basic path-traced image! First Rays on the GPU: Parallel raycasting! We Have Path Tracing: First working renders! Here’s an image from our very first working render! More soon!